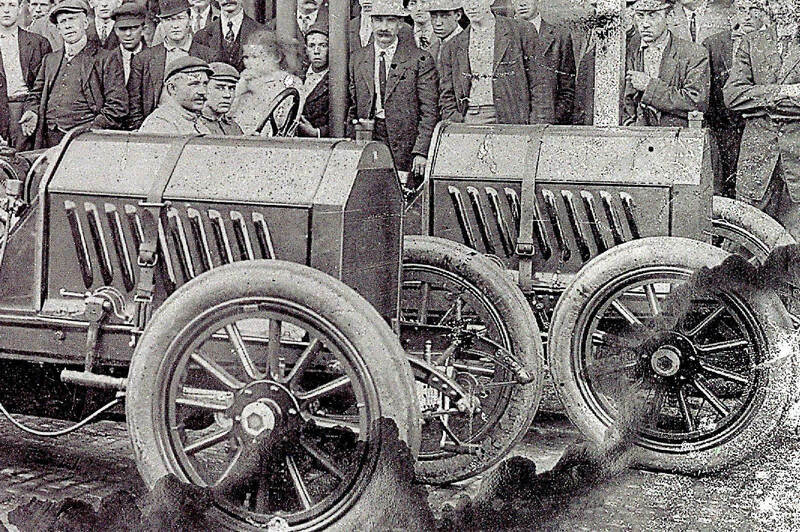 Identify the drivers and mechanicians. Clues are provided for five of the images. The other eight images are major Mysteries. Kudos to Ariejan Bos of the Netherland for researching this weekend's Mystery Fotos and providing additional documentation. Ariejan Bos: "Thanks for the Friday mystery photos. It took me two days to sort it all out, although some mysteries remain. A lot of work, but I enjoyed it because first of all I had these photos already for some time on file and never came to sort them out, and second it solves some problematic issues (although creating new mysteries at the same time!). 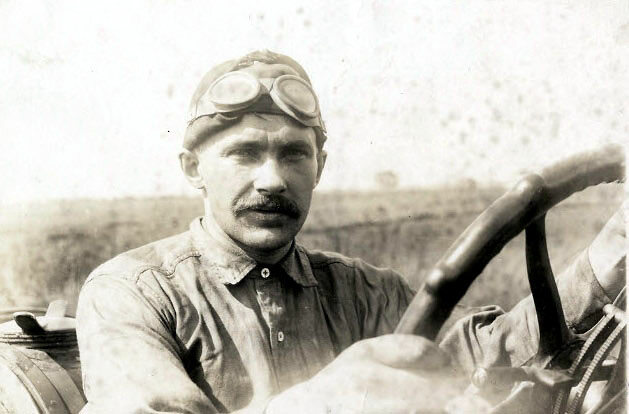 The problem was that I couldn't solve it by using just your mystery photos: I had to use all photos of 1910 VC racing drivers from the DPL-files. As you will have noticed, also the Massapequa Sweepstakes and the Wheatley Hills Sweepstakes were filed as Vanderbilt Cup, making it even more complicated. 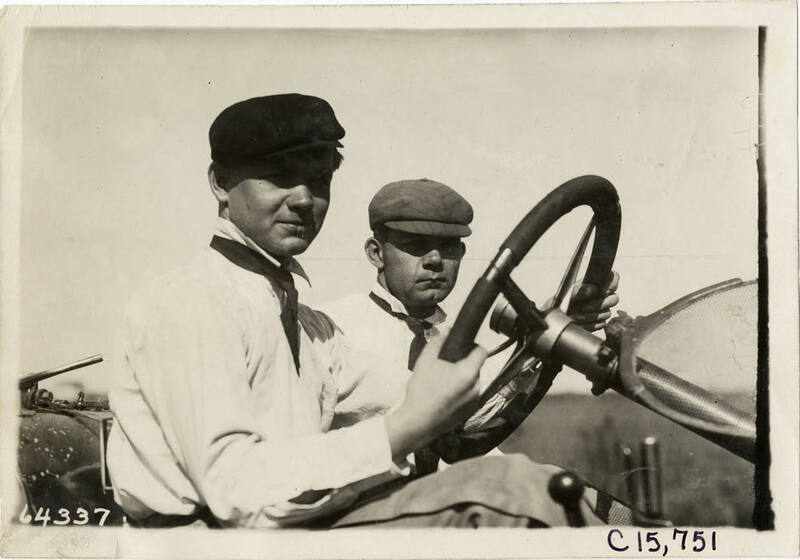 And finally, not only drivers were sitting behind the wheel, also the mechanicians and others were photographed on the driver's seat sometimes. After comparing endlessly faces and car details I ended up with this result. It shows photos of cars, drivers and mechanicians, all sorted by starting number, as well as a few reports. Here and there I added some extras to compare cars and faces. A few comments: the car which was identified once as Mercer #42 (the middle one of a three car team) is really the Abbott-Detroit #53. The plate showing entrant no.42 has no relation with the starting number. You can see the same on the photo with the Corbin team, where you can read on the left car entrant no.20 (starting number was #14) and on the right car entrant no.34 (starting no. was 48). This is a mystery I couldn't solve. Moreover the Abbott-Detroit logo is clearly visible, and other car details as well as driver and mechanician (see close-up) match with Abbott-Detroit #53. 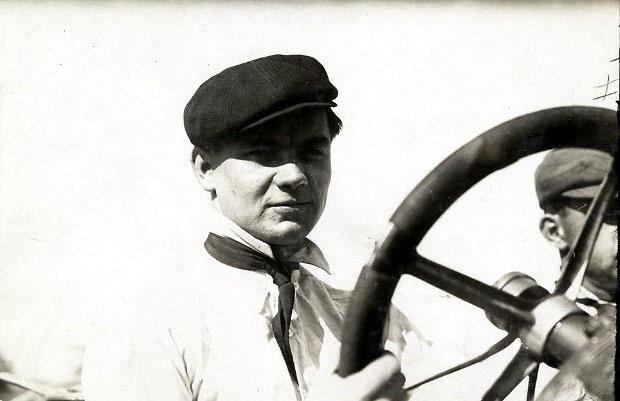 About the Mercer: I identified the Mercer driver from the characteristic steering wheel and the fuel filler cap. As Mercer photos were not really available I added beside a presumed Mercer image an image of a 1911 Mercer. Very characteristic is the small knob at the end of the smaller hand lever (visible on 2 of the photos and also visible on the beautiful video posted on your blog yesterday). The problem is that there are so few Mercer photos, and numbers are not visible, so I couldn't make out if it was no.42 or 47. Also the drivers were not very well-known, so that made it impossible for me to solve. Anyway, mystery photos F and M show the same person, in my opinion. About the Columbia: Harold Stone was identified by the newspaper photo I added. 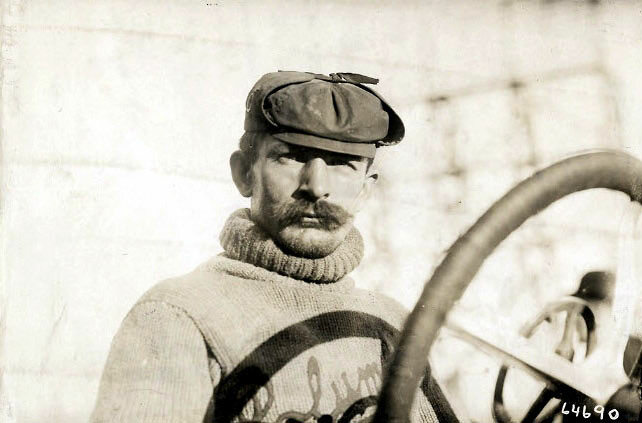 His mechanician with his very characteristic posture was also photographed behind the wheel, as well as the man with the moustache. The latter is intriguing: wearing a Columbia sweater he seems to be a Joe Tracy or even Christian Lautenschlager lookalike, but I couldn't figure out what they would have been doing with Columbia. Probably I'm missing here something, but maybe you know"? 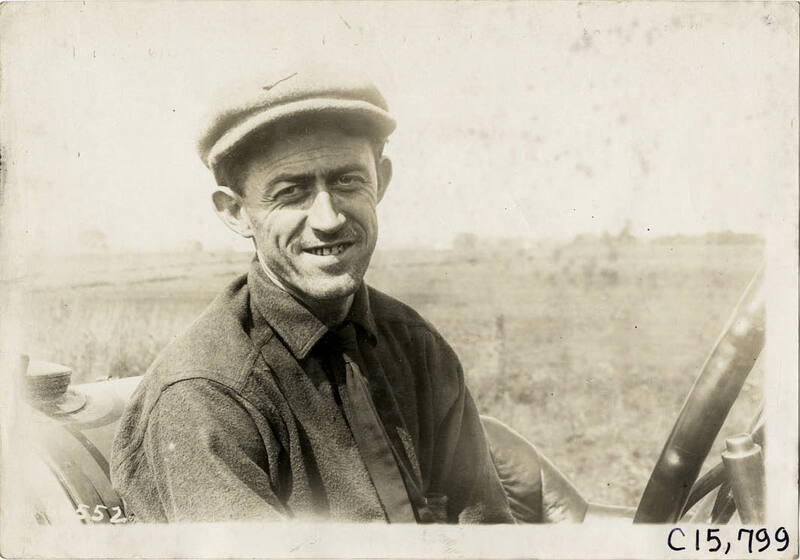 A. Joe Dawson, driver for the #25 Marmon. Finished 2nd. Only 26 seconds behind Alco. Completed 22 laps averaging 65.07MPH. 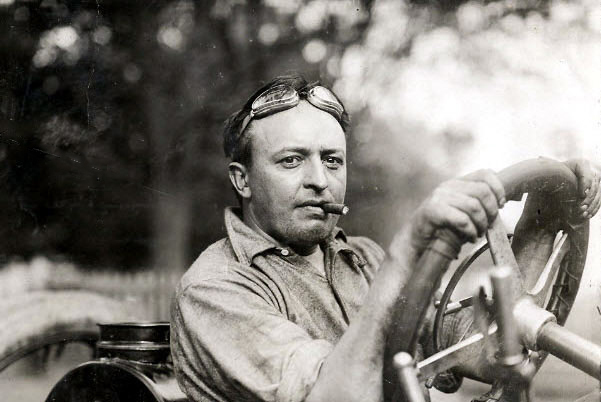 Clue: Considered the hero of the 1910 race. 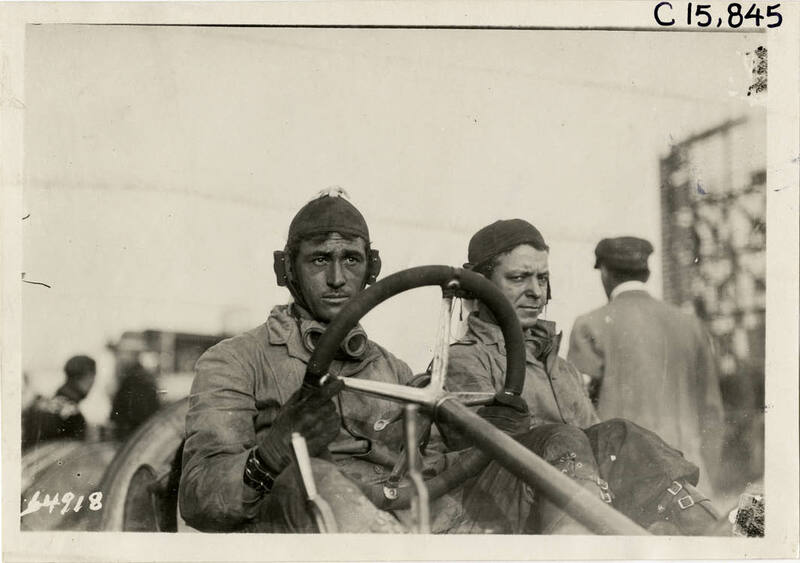 Driver Joe Dawson amd mechanician Bruce Keene. Courtesy of Ariejan Bos. 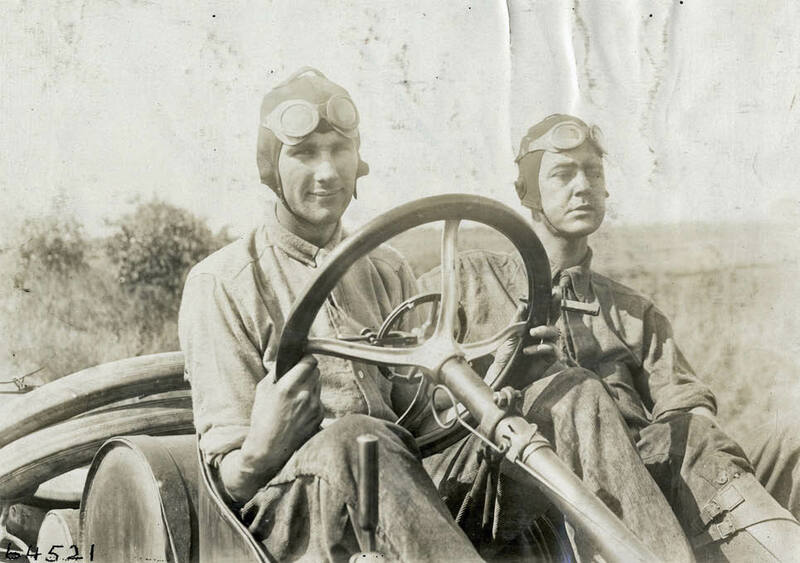 Driver Harold Stone and mechanician William Bacon. Courtesy of Ariejan Bos. 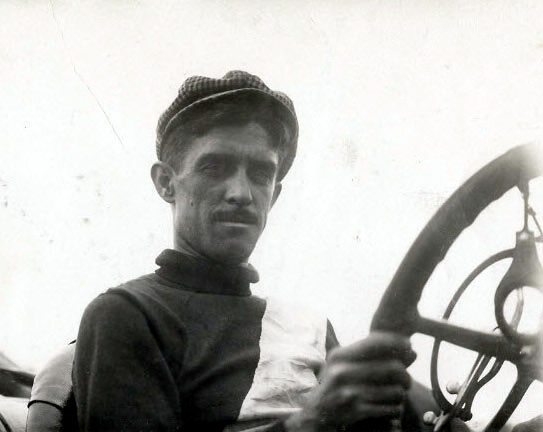 C. Billy Pierce, driver of the #41 F.A.L. Finished second in the 1910 Wheatley Hills Sweepstakes. 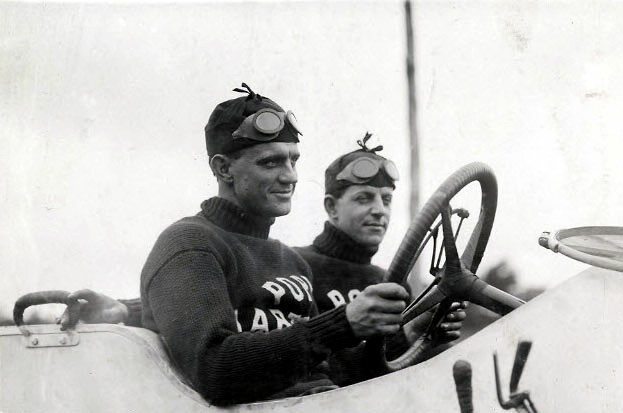 Driver Billy Pierce and mechanician Frank O'Brien. Courtesy of Ariejan Bos. 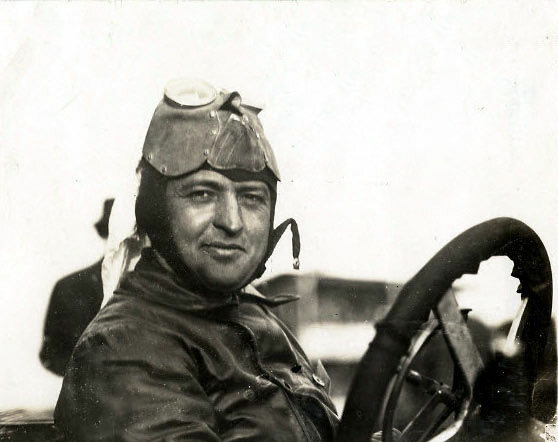 D. Joe Nelson, driver of the #5 Oldsmobile. 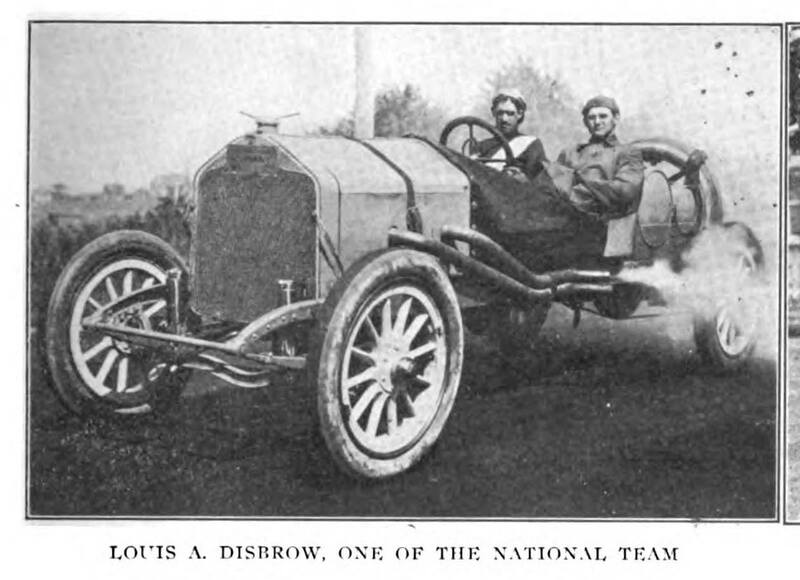 Entered but did not start in the 1910 Vanderbilt Cup Race. Clue: Entered but did not start. 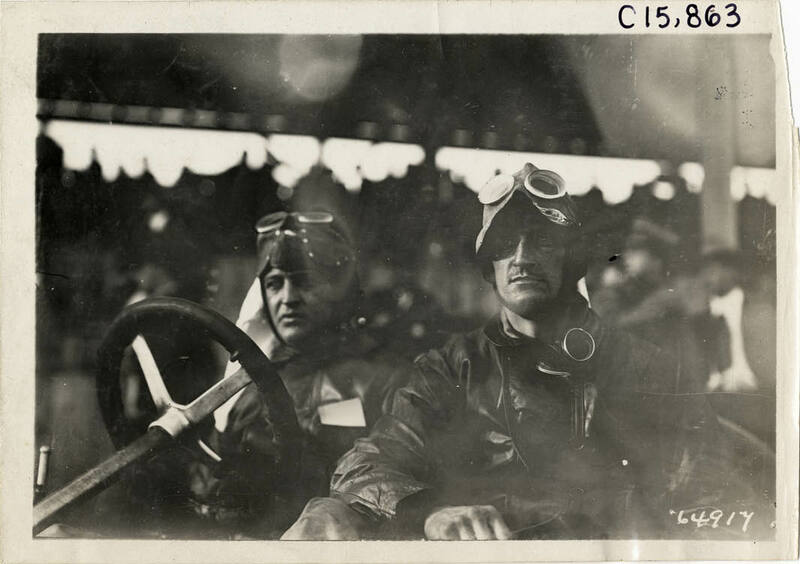 E. Driver Bert Dingley and mechanician C.F. Osgood, team for the #22 Pope-Hartford. Finished 10th in the Vanderbilt Cup Race. Completed 22 laps averaging 59.90 MPH. F. Either Edward Sherwood (#42 Mercer) or W.T. Frey (#47 Mercer), drivers for the 1910 Wheatley Hills Sweepstakes. G. Joe Matson, driver of the #14 Corbin. 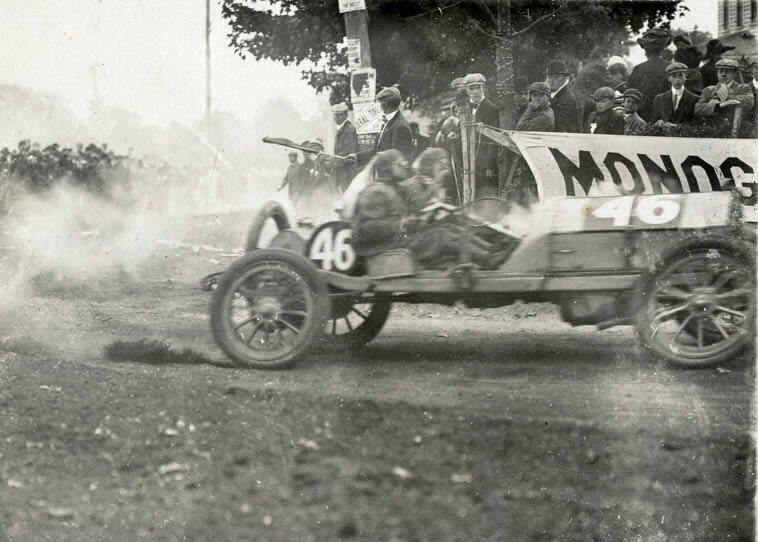 Finished 24th in the 1910 Vanderbilt Cup Race with radiator problems during lap 10. 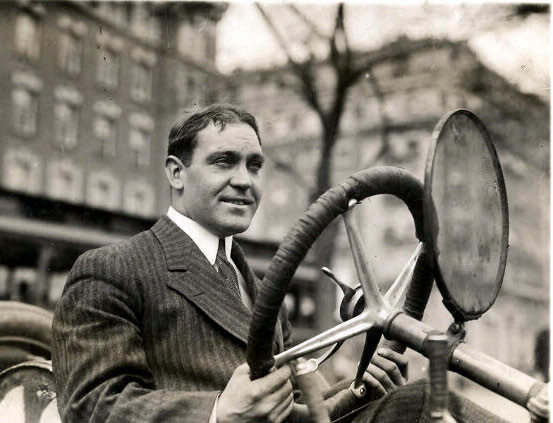 H. Louis Disbrow, driver of the #31 National. Finished 4th in the Vanderbilt Cup Race. Completed 22 laps averaging 63.60 MPH. 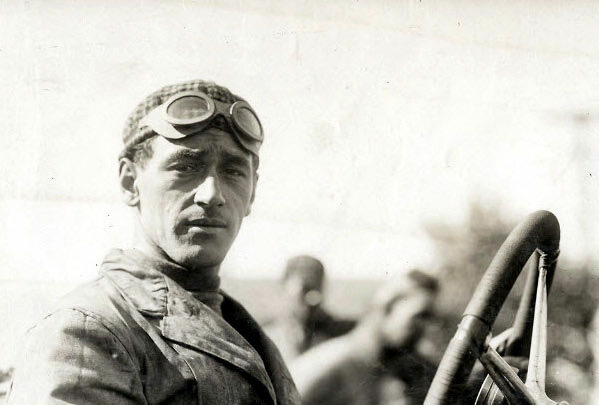 I. Frank O’Brien, mechanician for the #41 F.A.L. Finished second in the 1910 Wheatley Sweepstakes. 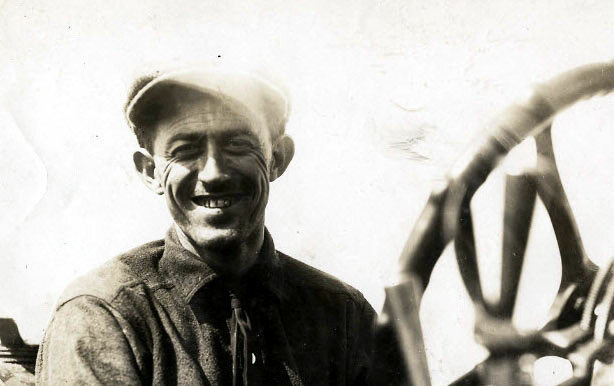 Driver Billy Pierce and his mechanician Frank O'Brien. Courtesy of Ariejan Bos. 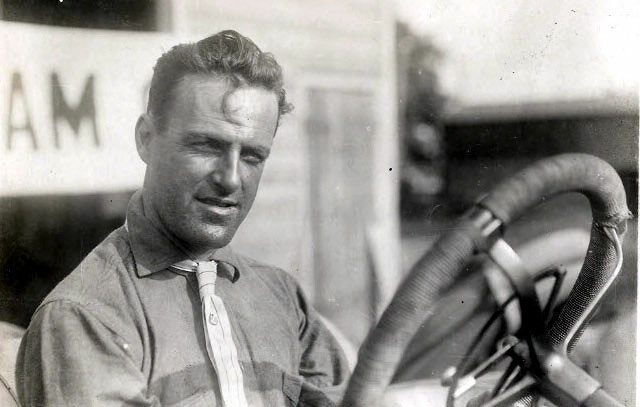 J. Harry Stillman, driver of the #20 Oldsmobile. Finished 11th in the Vanderbilt Cup Race. Flagged while running during lap 22 when race was called. Harry Stillman. Courtesy of Ariejan Bos. 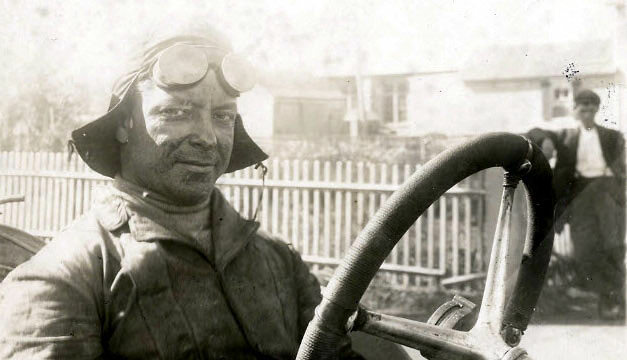 K. Frank Gelnaw, driver of the #46 F.A.L. Finished 1st in the 1910 Wheatley Hills Sweepstakes, averaging 58.4 mph. 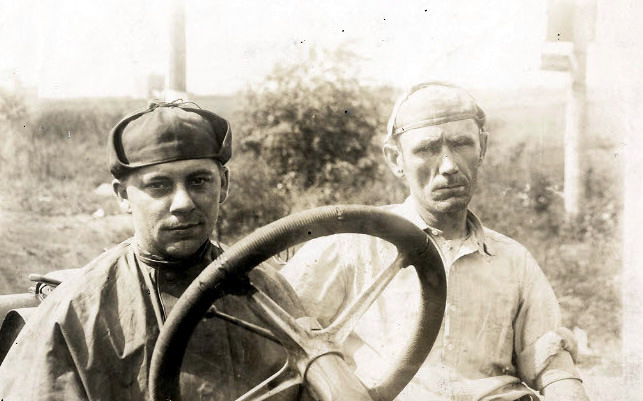 L. Driver Fred Heinemann and mechanician H.B. 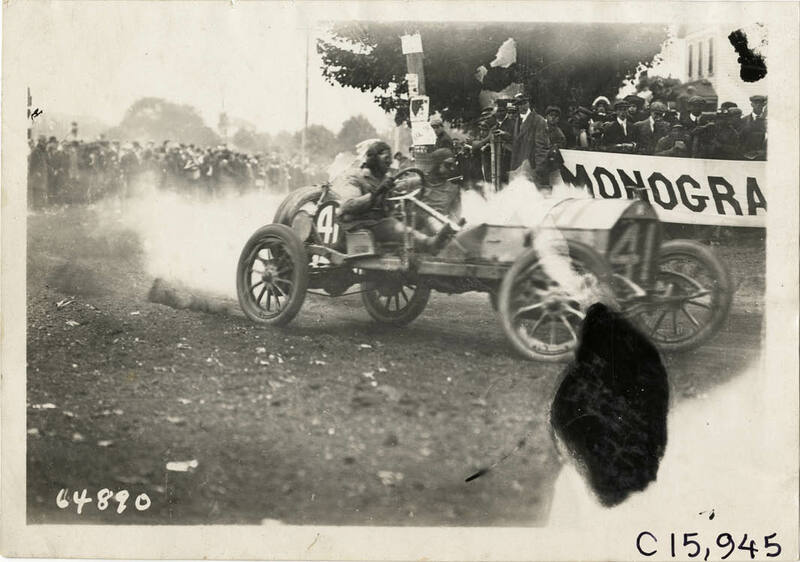 Patty, team for the #45 Marmon. Finished 3rd in the 1910 Wheatley Hills Sweepstakes. M.Either Edward Sherwood (#42 Mercer) or W.T. Frey (#47 Mercer), drivers for the 1910 Wheatley Hills Sweepstakes. Congratulations to Ariejan Bos, the undisputed king of mystery photo identification, for his outstanding research effort.